"Up to this time, some of you have had faith in 'Jesus Christ' but you have been like precocious children. Your faith has been partially blind and accepting, yet interwoven with much doubt. For the sake of those people who have chosen to read LETTER 5 before my earlier Letters describing my life and true teachings on earth, I will make a further statement that my true 'Jesus' CHRIST self must not in any way be confused with the 'Jesus' recorded in the New Testament. Jesus, the natural man became awakened when He became the Christ. (Q) Was Judas Iscariot's idea in betraying Jesus to force Him to assert Himself as a King and bring in His kingdom then? 21. (Q) Tell about Judy teaching Jesus, where and what subjects she taught him, and what subjects she planned to have him study abroad. (A) "The prophecies! Where? In her home. When? During those periods from his twelfth to his fifteenth-sixteenth year, when he went to Persia and then to India. In Persia, when his father died. In India when John first went to Egypt - where Jesus joined him and both became the initiates in the pyramid or temple there. 22. (Q) What subjects did Judy plan to have him study abroad? (A) What you would today call astrology. 23. (Q) At what major events in Jesus' life was Judy present, - such as casting out of demons, healing, feeding 5,000, etc.? (A) At his teaching - for a period of some five years. 24. (Q) Was she present at any of the healings or the feeding of the multitudes? (A) Those where she chose to, but she was very old then. She lived to be sufficiently old to know, of course, of the feeding of the first five thousand. She was present, but rather as one that brought the crowds together, than as contributing to the activities at the time. For, there the divisions arose, to be sure. 25. (Q) Was Judy present at the Crucifixion or the Resurrection? (A) No. In spirit, - that is, in mind, - present. For, remember, Judy's experience at that time was such that she might be present in many places without the physical body being there! 26. (Q) Tell of instances when Judy and Thesea, the Essene, worked or planned together. (A) Only at the regular periods, or meetings of the Essenes, as we find. 11. (Q) Please give facts about Jesus' education in Palestine, the schools He attended, how long, what He studied, and under what name He was registered. (A) The periods of study in Palestine were only at the time of His sojourn in the temple, or in Jerusalem during those periods when He was quoted by Luke as being among the rabbi or teachers. His studies in Persia, India and Egypt covered much greater periods. He was always registered under the name Jeshua. 12. (Q) Please describe Jesus' education in India, schools attended - did He attend the Essene school in Jagannath taught by Lamaas, and did He study in Benares also under the Hindu teacher Udraka? (A) He was there at least three years. Arcahia was the teacher. (A) ALL were a portion of the teachings as combined from the Essene schools, but these were not the true Essene doctrine as practiced by the Jewish and semi-Jewish associations in Carmel. 14. (Q) Did He study in Benares also under the Hindu teacher Udraka? (A) Rather that as indicated, - Arcahia. 15. (Q) Please describe Jesus' education in Egypt in Essene schools of Alexandria and Heliopolis, naming some of His outstanding teachers and subjects studied. (A) Not in Alexandria, - rather in Heliopolis, for the period of attaining to the priesthood, or the taking of the examinations there - as did John. One was in one class, one in the other. 16. (Q) Please describe Jesus' contact with schools in Persia, and did He at Persepolis establish a method of entering the Silence as well as demonstrating healing power? 17. (Q) Name some of His outstanding teachers and subjects studied. (A) Not as teachers, but as being EXAMINED by these; passing the tests there. These, as they have been since their establishing, were tests through which ones attained to that place of being accepted or rejected by the influences of the mystics as well as of the various groups or schools in other lands. For, as indicated oft through this channel, the unifying of the teachings of many lands was brought together in Egypt; for that was the center from which there was to be the radial activity of influence in the earth, - as indicated by the first establishing of those tests, or the recording of time as it has been, was and is to be - until the new cycle is begun. 18. (Q) Why does not the Bible tell of Jesus' education, or are there manuscripts now on earth that will give these missing details to be found soon? 32. (Q) Please describe Jesus' initiations in Egypt, telling if the Gospel reference to "three days and nights in the grave or tomb," possibly in the shape of a cross, indicate a special initiation. (A) This is a portion of the initiation, - it is a part of the passage through that to which each Soul is to attain in its development, as has the world through each period of their incarnation in the earth. As is supposed, the record of the earth through the passage through the tomb, or the pyramid, is that through which each entity, each Soul, as an initiate must pass for the attaining to the releasing of same, - as indicated by the empty tomb, which has NEVER been filled, see? Only Jesus was able to break same, as it became that which indicated His fulfillment. 1. Cayce: Yes, we have the body, the enquiring mind, (1158) and the information that has been given regarding the experience of the entity in Palestine. 2. In giving further interpretations of those records as we find in the experience of the entity, and their application in the present, it is very well, very befitting that such should come at a season or time when there were the experiences of the entity as the sister of the risen Lord; that there may be in the experience of the entity those practical experiences and practical applications. 3. For as has been intimated, each Soul that has named the Name and who keeps in the Way may know, may hear, may see, may have a consciousness of that ENTITY; yea, the consciousness of being at an at-onement with Jesus, the Christ. 4. Not merely as a condition, not merely what may be termed in the universal sense as being at an at-onement in the Christ Consciousness (which is a condition, an experience, an activity), but that it may be fulfilled even as He has given in His promises; "Abide in me and I in thee, and I in the Father, that we may be One, even as I and the Father are One; that I may bring to remembrance thy remembrance from the book of thine own records ALL that has been from the foundations of the earth!" 5. Then as each Soul meditates, uses, applies, consciously, His promises, and makes them its own, then indeed may it again walk and talk with Him. 6. How much more then should this mean to self? For even as He in the consciousness of the separations bade John to take her, thy mother, His mother, as his own, how much more would be that consciousness in self that the life, the self, the experience is dedicated to His at-onement with the Father in thee; that the glory as He had before the world was is His. 7. How much more may it shine in thee, that would make such an application of self? Not unto self-glory, not unto self-indulgence. These are only that thy name may be well-spoken of, or that thou might be different, or that in self there might be that even as He hath given to thy friend in the mother of John and James when He said, "That these may be upon the right or the left is not mine to give, but is prepared for those who are able, who are willing to drink of the cup even as I." 8. So as thou hast dedicated thyself, so as thou dost apply thyself in thine appreciations of the awareness being brought to thee of thy closeness in a physical or in a material sense, so may thy own inner self become more aware of His presence, His abiding presence with thee. 9. For as He hath given, "I - Behold, I - stand at the door and knock, and whosoever will open I will come in and sup with him." 10. How much more then may be those very influences and forces that may arise in thine own experiences, as ye look to him? 12. There is no time, there is no space in the UNITY of the at-onement. THIS ye know, this ye oft have a consciousness of, yet not a full awareness of. But how hath He given it? "All things that were made, by Him were made. Without Him there was not anything made that was made." 13. Then in all, through all, is the permeating influence of Christ Consciousness. 14. Ye crystallize, ye demonstrate, ye make an at-onement by thine own attunement to His conscious presence that becomes a reality in material expressions as Creative Forces can, do, and ARE in those who are of one mind, one purpose, one intent, one desire. 15. For these, though names, are influences that prevent or aid according to their application, their appreciation, in the mental forces of the individual. 17. As has been given, while the physical body or entity Jesus was studying in Egypt, in Persia, in India, ye came into the experience - or were born in the earth. 18. 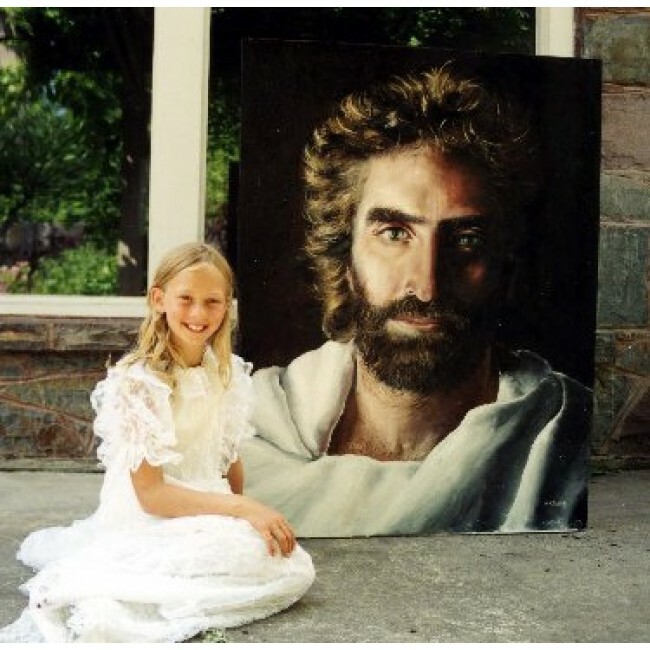 When there was the death of Joseph, He returned to thee - yea, then a lassie - as a stranger; yet there was a binding influence from those very tendernesses, those very influences as brought to bear that draw upon thine inner self. 19. Yet thine orthodox teachings (as ye would term today) held thee aloof. The first appearances then were at the burial of Joseph. 20. At those periods when there was the first preaching in Capernaum, ye again heard His words. Then with the attempts of all of those in authority, even those of thine own faith, to dispute, to do bodily harm, again there arose that cry - as ye oft asked of Mary - "How CAN such things be? How CAN he without father come into the world?" 21. It was against nature, against thine own reasoning. Yet as has been given, as has been shown, Creative Forces bring into being that as of the Father through the PURPOSES, through the intents, through the desires! Then as He hath made, He hath builded and without Him there was nothing made, does it become strange to thee that He entered into His own to become a part of same? 22. Yet this ye could not comprehend, and yet ye say ye may see a manifestation of the presence or power of God in moving, in activating, in the hearts and minds of peoples and of individuals, animate and inanimate things. Yet He came to His own and His own received Him not! 23. Then again with thine own training ye were separated far, as has been indicated; and only was there the comprehending in the last days when there was the triumphal entry, when there was the evening of the night in the Garden, and ye came to thy mother in her physical bereavement, and ye understood, ye comprehended - WHEN there was related to thee the walk to Emmaus! 24. Those were the periods. In life ye saw Him, in experience and manifestations as when He healed Peter's wife's mother, just before the rising of the rulers of the temple against Him. Then in death. Thus ye could not, ye did not comprehend. 25. How if He is Life, could He die? Why did He die? These were the burdens. WHY should He die? 26. Yet as He gave, "For this purpose came I into the world." Just as He gave, "If ye would have life, give life." 27. If ye would know Jesus, God, Be THAT, BE THAT, to thy fellow man! 28. For it has ever been and is, even in materiality, a reciprocal world. "If ye will be my people, I will be thy God." If ye would know GOOD, do Good. If ye would have life, give life. If ye would know Jesus, the Christ, then be like Him; who died for a Cause, without shame, without fault yet dying; and through that able to make what this Season represents - RESURRECTION! 29. Resurrection means what? It is reciprocal of that which has been expressed. How hath it been put again by him whom ye knew but disliked (for ye loved Peter the better)? "There is no life without death, there is no RENEWAL without the dying of the old." Dying is not blotting out, it is transition - and ye may know transition by that as comes into the experience by those very activities, that "With what measure ye mete it shall be measured to thee again." That was His life, that is thy life, that is each one's life. Then how near, how dear has grown in the hearts, in the minds of all, those who put away self that they may know Him the better? 30. HE put away self, letting it be nailed to the Cross; that the NEW, the renewing, the fulfilling, the BEING the Law, becomes the Law! 31. For it is the Law to BE the Law, and the LAW is Love! Even as He showed in all of His manifestations, in the material experiences in the earth; that ye doubted, honestly - that is in the eyes, in the heart, in the Soul even of the Creator counted - even as of old - desire, honest desire (not because faults did not arise in the material world but they were meted to Abraham, even as he said) - as FAITH! (Q) When did the knowledge come to Jesus that he was to be the Savior of the world? (Q) Is it true that Jesus is the only begotten son of God, and what does this mean? (A) In this to give the full concept is to give the history then of all those who have entered into flesh WITHOUT that act which man knows as copulation. For as those experiences Jesus, known as Jesus, the brother of this entity, came into the earth, the FIRST that were of the sons of God to enter flesh, THERE the first and only begotten of God. Again, as names would say, Enoch walked with God, became aware of God in his movements - STILL that entity, that SOUL called Jesus - as Melchizedek, without father, without mother, came - STILL the Soul of Jesus; the portion of God that manifests. But each son, each daughter, through these very acts of the only begotten, of the son of Mary, of the first in the earth, of that without father and without mother, without days, without years - becomes then as the elder brother to all who are BORN in the earth, as the maker, as the creator, as the first, as the last; as the beginning, as the end of man's soul's experience through the earth and throughout the spheres of consciousness in and about the earth. Thus is He the only begotten, the firstborn, the first to know flesh, the first to purify it.